Flite Test welcomes a real flying version of an iconic aircraft from an aviation themed cartoon called Tale Spin to the FLITE TEST FAMILY... The FT SEA DUCK!! One of the goals behind making this plane was to celebrate other community members who have designed similar versions of the SeaDuck. We also wanted to demonstrate the abilities of this cartoon made real along with giving ideas on fun activities you can do to keep the inspiration going long after a cartoon or show has ended. Keeping the DREAM ALIVE! This plane is a twin engine, 3 channel airplane. It is an amazing machine to build and even more fun to FLY! The FT Sea Duck uses differential thrust capabilities which makes maneuvering on the water a breeze!! Another awesome thing that this plane brings with it is, even though it is a sea plane, it flys great from a position on land as well for people who do not live near water or where water is not easily accessible! If you are looking for a FIRST twin engine airplane, you have found it! As you build this plane you will see that it was designed to fit either the B-twin power pack or the C-twin power pack for versatility(recommended)! This plane was engineered to allow for people to be creative and go flying with their transmitters as well as their imaginations to build or fly something they maybe thought was iconic in their own aviation upbringing! We are hoping this plane brings you as much fun as it has brought us over the past few months. The build is pretty cool. I've built one plane and several flying wings which all can be done in a day or two. Plan on the long haul for this build, especially if you decide to paint along the way like I did. I went by the video instructions which I'd recommend. 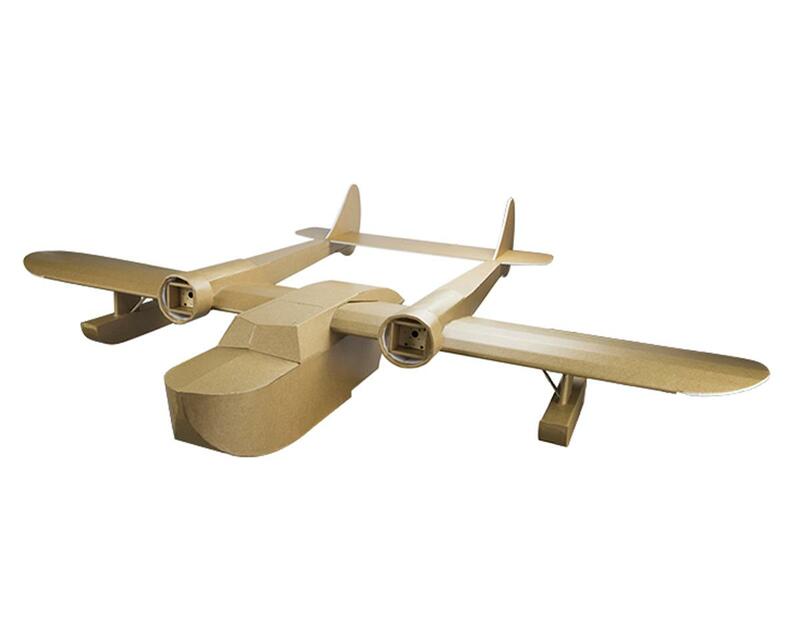 I can't say enough good things about the laser-cut foam airframe. It's good .. really good. If you're looking for a good build, something different, or a longer winter build this plane is for you. This is a wonderful plane. I was inspired by the red bull episodes. So I looked up a little bit about the red bull air races and about some of the first air races and was inspired to make a red bull style twin engine ft sea duck. I have built more than 60 foam board airplanes since hearing about flite test 6 years ago. And so far, this has been one of the funniest builds I have done to this date. Great job flite test, you guys crushed it! Très belle avion vol super bien un petit peu plus compliquer a monter vue quel soit imperméable mais vos la peine ! What channel transmitter do I need for the sea duck?